What first inspired you to bake? A lack of Garibaldi biscuits. What has been your biggest baking disaster ever? Garibaldi biscuits that turned out like rock buns. How does the presence of Paul Hollywood and Mary Berry affect your nerves in the kitchen? I’m not sure their presence affected my nerves too much. But when they were absent deciding my fate, that was different. 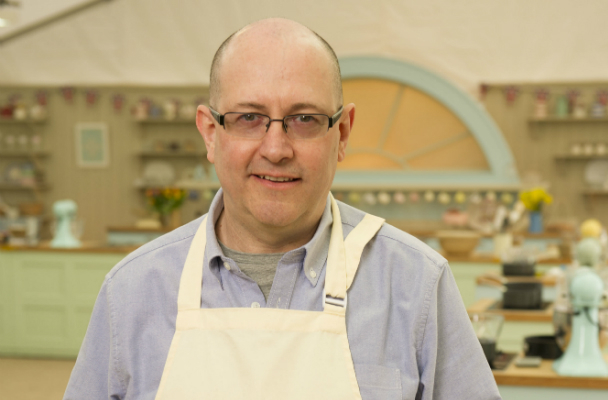 Which past Bake Off contestants have impressed you the most and why? Brendan impressed me most by far. He has an incredible depth of baking knowledge and a skill set to match it. He’s a baking legend. What is your biggest fear in the kitchen? Chocolate or vanilla? Chocolate, oh chocolate!